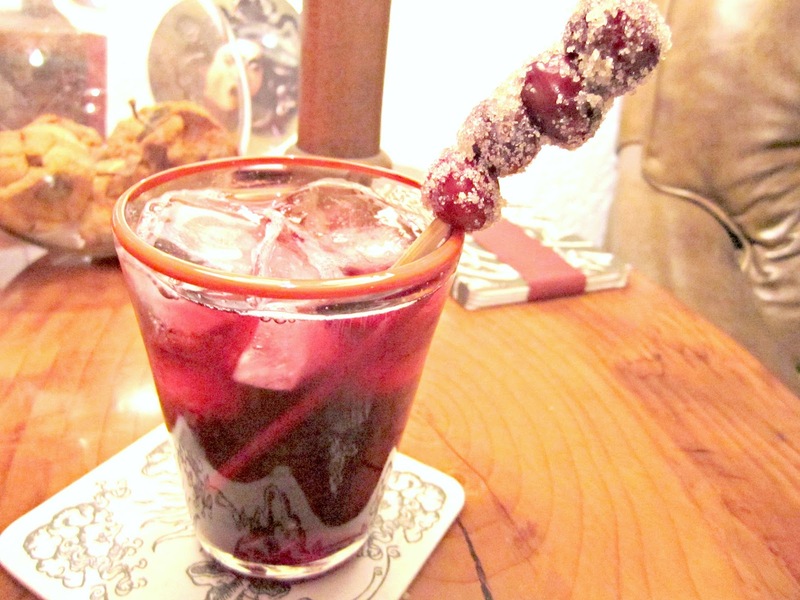 JellyBones: Cranberry red wine spritzers! Oh hello again my friends. Care for a cranberry red wine spritzer??? Is it just me, or does anyone else have quite the hard time saying "spritzer" without a little smiley smirk. I just imagine Seth Galifianakis, or maybe Marty Huggins! ha! If this looks familiar, it's because I got this idea from abeautifulmess. 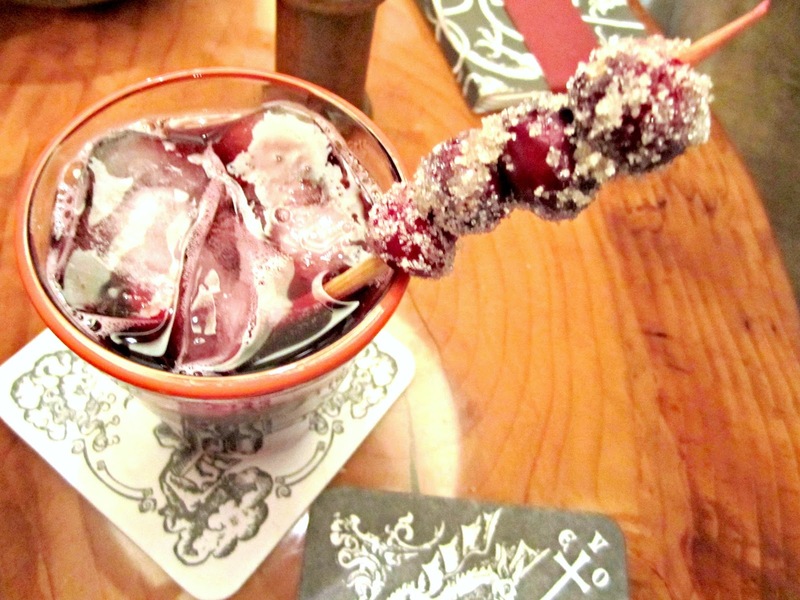 This is a super super festive little drink, and doesn't really take a ton of effort. YESSSSS!!!! Bring the first 4 ingredients to a boil. Turn heat down and simmer for about 15 minutes, or until the wine starts to reduce. Refrigerate until cold and strain. Be careful here! The first batch that I made was a total disaster. The super hot wine busted the bottom of my glass pitcher! Pretty amazing actually. A perfect circular break in the glass. So...... although the original recipe says to strain before chilling, I recommend taking the cinnamon sticks out, and chilling before straining. While that is chilling, string 4-5 cranberries on the end of a kabob stick broken in half. Run under water for a second, and sprinkle sugar over the wet berries. This recipe makes 6 of these. Place some ice in a glass and fill with cranberry wine almost to the top. Add a splash of club soda, stir drink, and use the sugared cranberries as a garnish. VOILA! That sounds really good. I've just found the magic of Rumchada and root beer. Mmm, it's like the best root beer float ever. Oh my! This looks wonderful. I need this in my life. this looks almost as delish as my ornament! 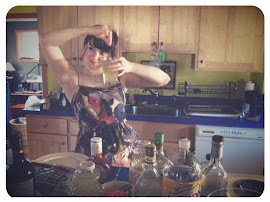 Thanks for leaving a comment on my blog and entering my linkup! I just followed you and love your blog! Shut up! You always do the coolest drinks. I'm jealous. ha! thanks Sara. What can I say..... I am a drinkaholic. Yum, this looks really good! I need to try a few cranberry cocktails this season. Sounds yummy. Ive tried my hand at Sangria, but I guess Im just more of a straight red wine kind of gal. WOW! This is really an amazing and attractive post about a fine recipe of Cranberry red wine spritzers. I appreciate your posted wonderful photos. Thanks for sharing such an interesting post.